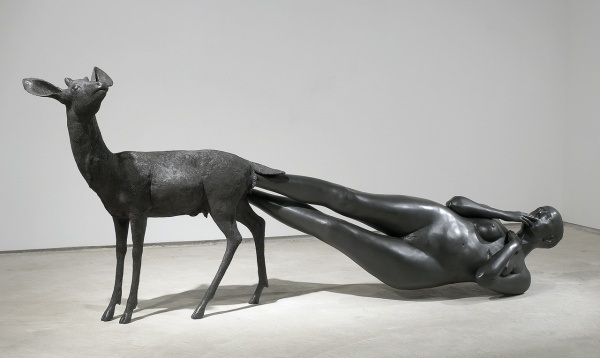 Kiki Smith, Born, 2002, Bronze. 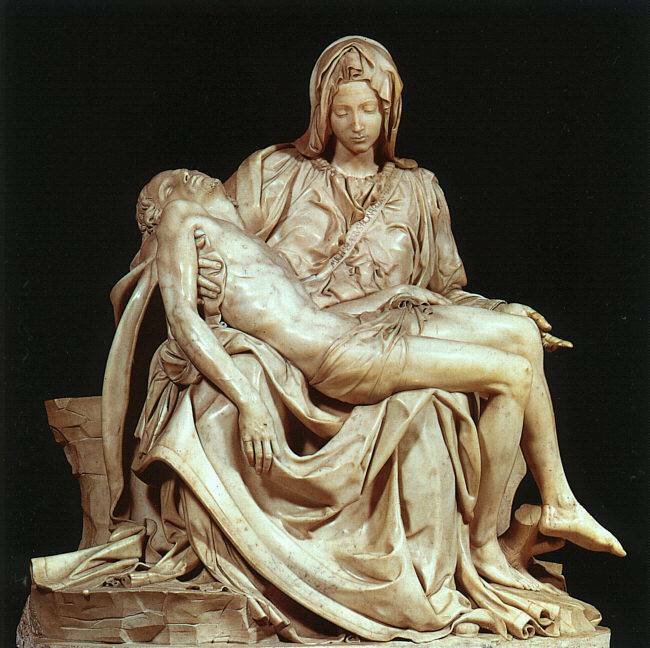 Smith’s Pieta drawings depict the grieving artist cradling her dead cat. 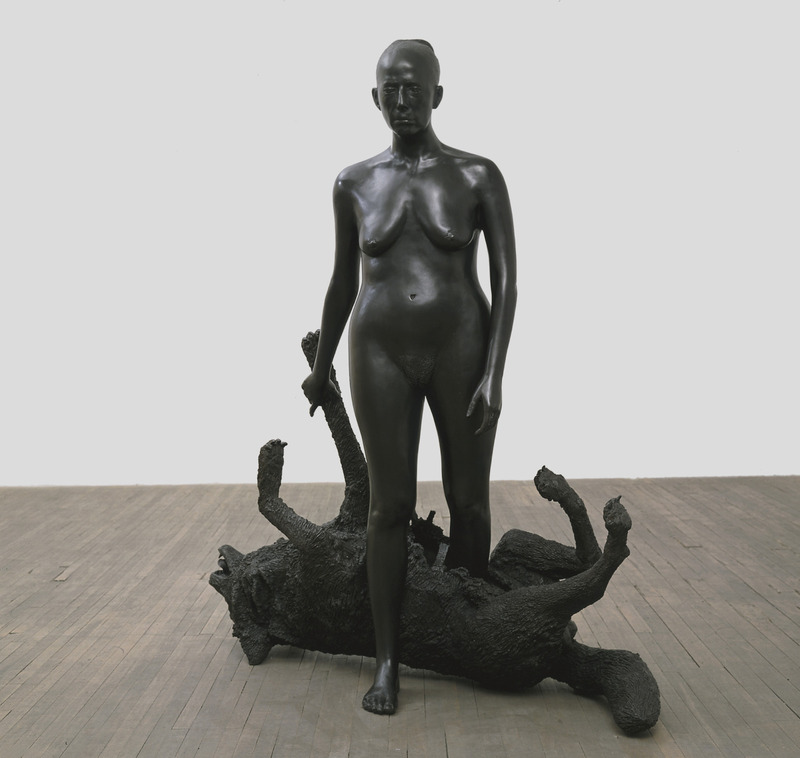 The intimate self-portraits mimic the history and traditions of the Pieta in both title and composition. 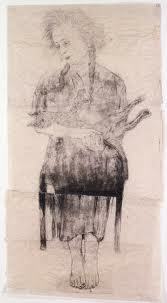 (7) The drawings further explore Smith’s resounding themes of human experience: death and the fragility of life. 5. ibid., p. 4 & 7. 9. Bonner S, Visualising Little Red Riding Hood, London’s Global University, 2009. 10. Langer, op. cit., p. 56. Jean-Martin Charcot – Capturing the Mind. 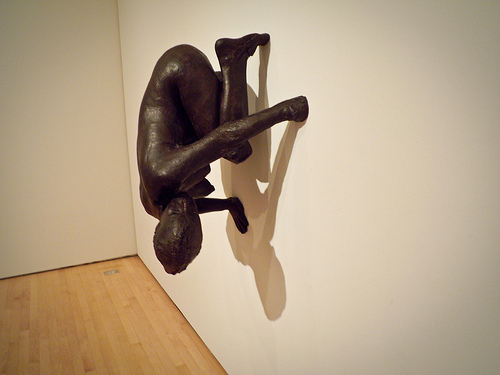 Régnard, “Lethargy. Contraction of the stern-mastoidian frontal muscles,” Iconographie, vol. III. 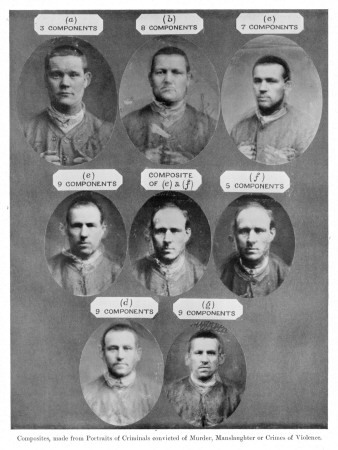 Composites Male Portraits of Criminals Convicted of Murder, Manslaughter or Crimes of Violence. In Lethargy, the woman is in the lethargic phase where the phenomenon of neuromuscular hyper-excitability is at its peak. (8) She is being touched by an instrument in order to trigger a response from the muscle; the muscle basically contracts. 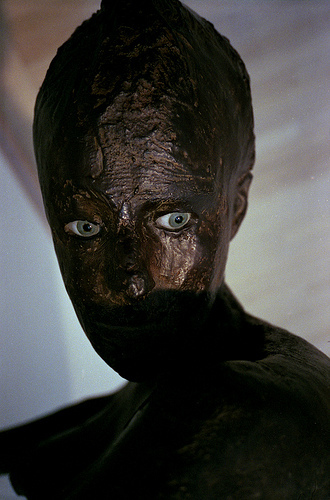 The reaching into the “dark chamber,” (9) the supposed “hand of God,” is reminiscent of Chris Marker’s imagery in La Jatee, where scientists perform experiments upon the male protagonist which will either result in insanity or death. 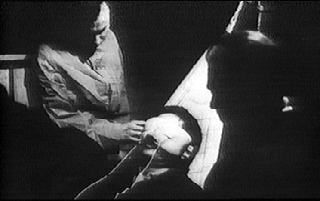 La Jetee Film Still, Directed by Chris Maker. 1. 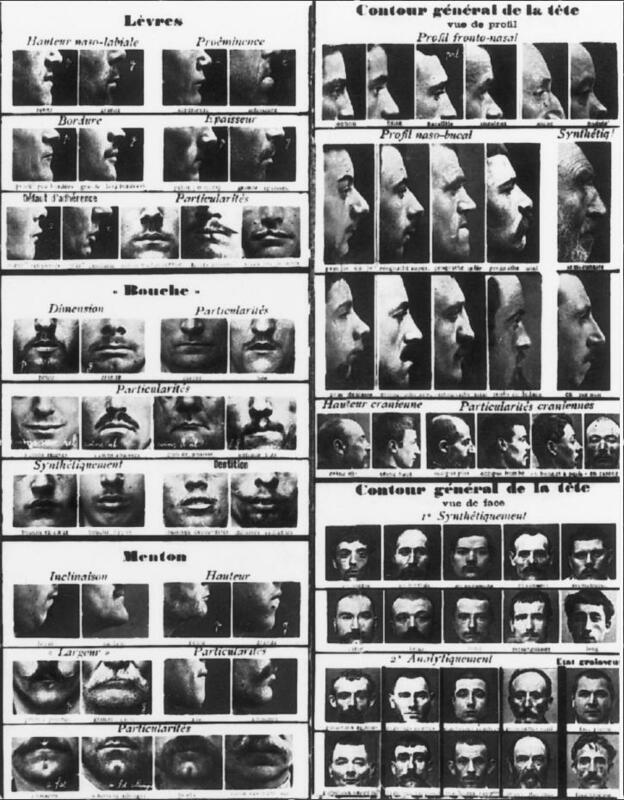 G Didi-Huberman, Invention of Hysteria: Charcot and the Photographic Iconography of the Salpetriere, Cambridge, Massachusetts: The MIT Press, 2003, p. 13. 2. 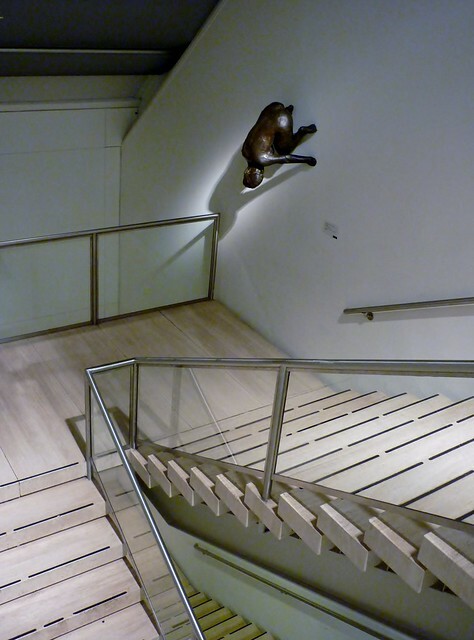 U Baer, Spectral Evidence: The Photography of Trauma, Cambridge, Massachusetts: The MIT Press, 2002, p. 26. 3. Didi-Huberman, op.cit., p. 13. 4. U Baer, op.cit., p. 14. 8. Didi-Huberman, op.cit., p. 96. 9. U Baer, op.cit., p. 35. 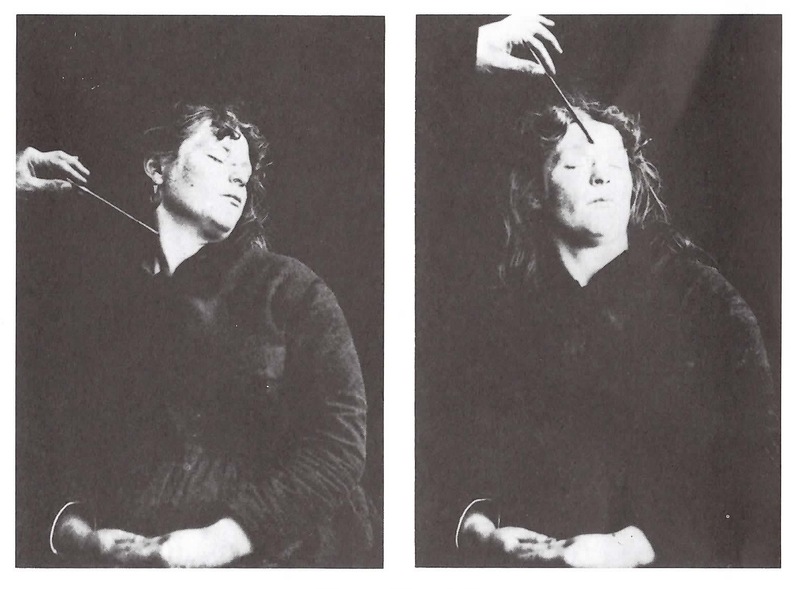 Lethargy G Didi-Huberman, Invention of Hysteria: Charcot and the Photographic Iconography of the Salpetriere, Cambridge, Massachusetts: The MIT Press, 2003, p. 201.